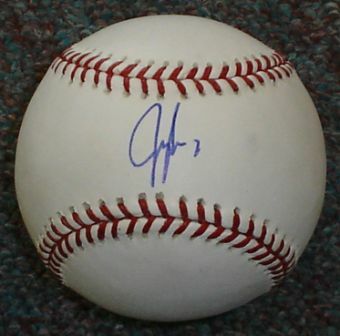 This Official Major League Baseball has been hand signed by Jeff Francoeur. The ball was signed at a private signing in Atlanta in January, 2006. It was witnessed by a representative from Collectibles of the Game, and includes a Certificate of Authenticity and a money back guarantee.